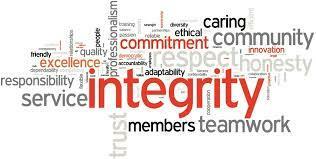 Integrity is defined as a moral soundness, uprightness, and honesty. The District 5370 Capital Region Rotar Clubs annually present Integrity Awards to promote high ethical standards and raise awareness of Rotary ideals. The purpose of these awards is to honour adult, non-Rotarian members of the community for their integrity as citizens. Each participating club recognizes one such individual at an annual Dinner. 2019 is the 23rd year of the Capital Region's Rotary Integrity Awards. Join us for this wonderful evening of celebration, food and fellowship.